So for our family movie night I picked out E.T. and we watched it with our 6 year old son. He absolutely loved it of course. He loved it so much that he told us he wanted his birthday this theme. 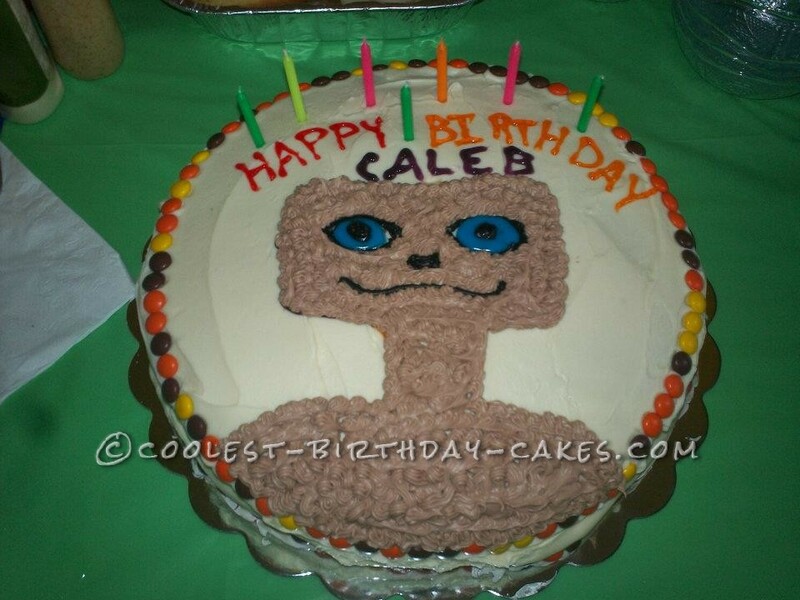 We were like, oh boy, how do we pull this one off when the movie is over 20 years old and it is not like we could just walk into a Party City and buy decorations of this movie character’s theme, let alone a cake mold to help me make a cake. I’ve always loved to bake and especially decorate cakes so I thought to myself this will be super fun to see what I can come up with. I ended up finding decorations, goodie bags and even favors on eBay and another rare toy website. From there I was able to figure out how to create his E.T. birthday cake, Reese’s Pieces candy and all! Birthday cake idea Posted by debie m.